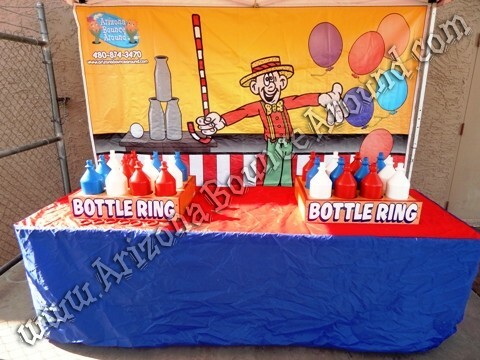 This professional ring toss game is 2 feet by 2 feet and comes with 12 plastic bottles and 6 red plastic rings perfect for any carnival themed party or event. 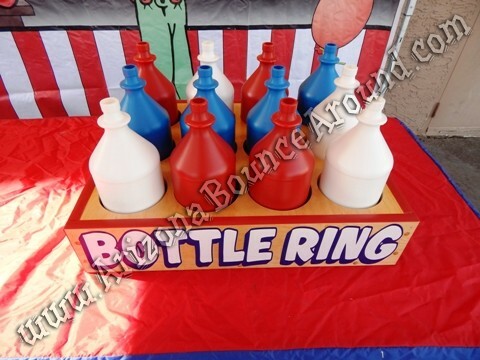 Ring toss is a carnival game classic and can be used on the ground, on a table or in one of our carnival game booths. 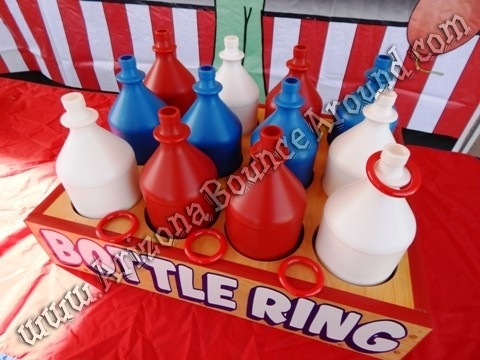 We also have Ring Toss Carnival Games with 36 bottles and 12 rings for bigger events.